Building the world’s largest observatory is no small task. It requires meticulous consideration of every aspect of building and maintaining the technology – from funding and foundations to software and safety – and the experience and resources to determine those requirements and plot the path forward. In the past six months, we have been making major strides toward putting all the pieces in place. Here is a summary of some of the main achievements and developments within the Project Office. CTA is a very large project (in fact, the planned CTA Observatory with up to 120 telescopes on two sites is larger than any existing observatory today) so one of our biggest priorities has been ramping up the CTAO/Project Office, which means we have been vigorously recruiting technical staff. In particular, the Systems Engineering group has been strengthened in the areas of requirements and interface management, system safety and system validation and verification. Additionally, our first staff members have moved into the temporary Science Data Management Centre building in Zeuthen. We still need to strengthen our quality assurance, system integration, configuration management and documentation management so keep an eye out for those positions and more on our Jobs page. CTAO staff at the new offices in Bologna. As the requirements are the basis for the project, including those for the development, construction, testing, acceptance and operation of CTA, quite some effort has gone into complementing, revising and finalizing the requirements in the various areas. We have accomplished this through holding several dedicated discussions and workshops over the past year. Since September 2017, the Project Office has held discussions at Project Committee meetings and organized workshops for multiple areas, including OES, DPPS and SUSS. The top-level science requirements have been consolidated into one document and approved by the Project Scientist, and a document that establishes a standard Monte Carlo simulation framework for CTA has been updated and approved. Both documents, which are fundamental for CTA, were endorsed by the CTA Consortium Board in its meeting on 28 Sep 2018 in Berlin. CTA will be a large science infrastructure with a large number of subsystems and units and a high degree of complexity. There are many good reasons to design and implement the simplest and most harmonized system possible. In fact, we are convinced that a high degree of simplification will be a crucial success factor both during construction and operation. This need for harmonization applies to many subsystems and components of the array. In the area of the three proposed Small-Sized Telescope (SST) designs (see below figure), harmonization is of very high importance due to the large number of units to be built, operated and maintained (70 in the baseline scenario). For this reason, the Council mandated that I carry out a procedure to arrive at a single SST design. Thus, the SST harmonization process is underway to decide on a single design for the SST structure, mirrors and camera, with the intention that all current teams will have a well-defined contribution to the final design. On 1 August 2018, a “Request for Information – SST Implementation” was issued by CTAO to the SST teams with responses received by 31 October. The responses will be provided to a panel of external experts, which will be asked to advise CTAO on the SST harmonization, taking into account science, engineering, operations and project management aspects. The panel composition and charges were approved by the CTAO Council in its 13-14 November meeting (Read the Managing Director’s Update), and we envisage the SST harmonization review meeting to take place in early 2019. Preparation of the In-Kind Contribution (IKC) documents, the IKC Framework and the IKC Agreement template, has continued. After significant discussion, the IKC Framework document was approved by Council on 20 June 2018 and was provided to the work package leaders. This policy document outlines the rules for IKCs and will be an integral part of any future Call for Expressions of Interest and of future IKC Agreements. The IKC Agreement template draft was prepared by CTAO and is now being discussed by the Administrative and Finance Committee and In-Kind Review Committee. Assuming quick convergence, we aim for Council approval at the Spring 2019 meeting. The Project Office, along with the IAC, have prepared the tender documents, including the scope of work for the first phase of the detailed project design for the CTA-North site. 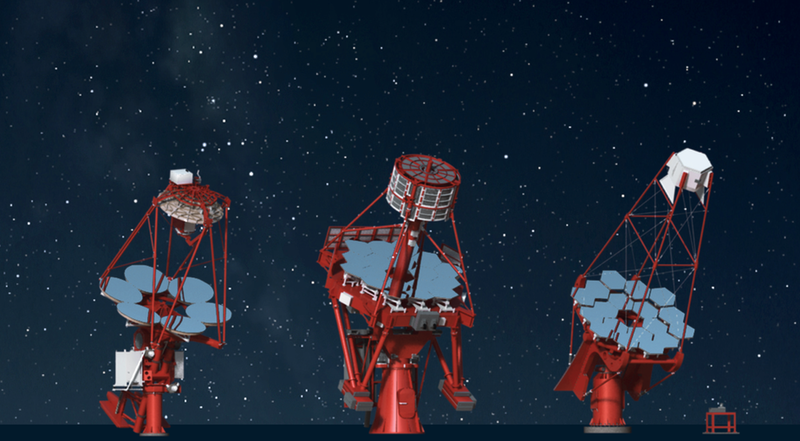 This first phase includes the design and construction of the remaining Large-Sized Telescope (LST) foundations and the first Medium-Sized Telescope (MST) foundation and the infrastructure for calibration equipment, as well as roads, power distribution and data networks. A European tender will be published to engage an architect and engineers to provide detailed designs and to undertake the necessary environmental impact assessments of the site. All applications will be reviewed and approved by the local authorities of Villa de Garafia and Cabildo de La Palma prior to starting any form of construction on site. If all goes as planned, the planning approvals should be completed by mid-2019 with the initiation of work on site before the end of 2019. Additionally, the CTAO is in the process of hiring a CTA-North Site Manager and should have a candidate on board very soon. The negotiations for the CTA-South site have concluded, and we plan to start infrastructure detailed design work in 2019. We are working hard to collect all the information we need to build a credible and realistic construction schedule. For this, a firm basis is needed in the areas of requirements, system definition, system interface definitions, technical readiness, cost estimate and available funding, among other things. Work has started and is ongoing on the CTA system design, sub-system and interface definitions and cost book update. We are aiming to have the major construction milestone dates defined around March 2019, although the final schedule will depend on the time scale for creating the construction legal entity ERIC. Right now, we’re planning to conduct the first Critical Design Review for the LST in May 2019.